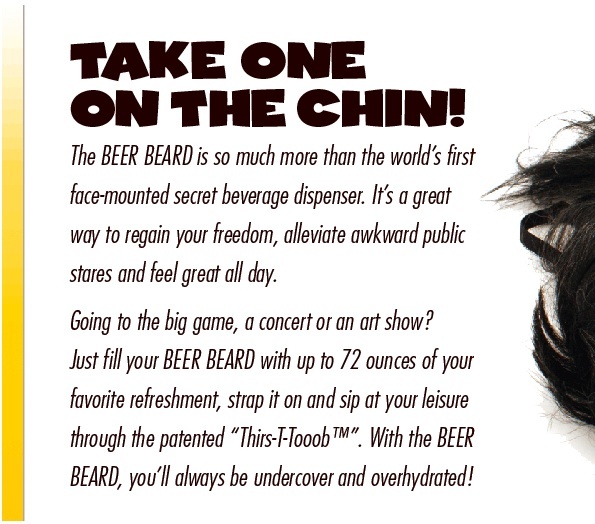 Your friend's and family's eyes will pop out of their heads when they unwrap the Beer Beard Prank Gift Box. 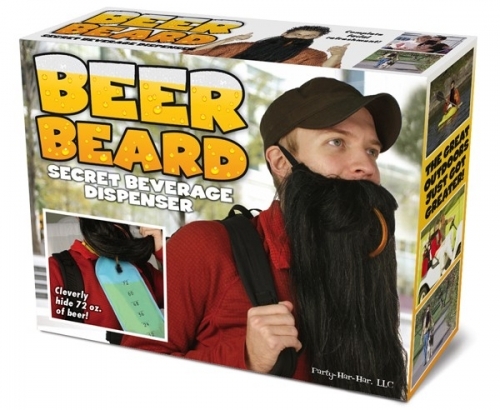 The box portrays a man with a VERY fake beard drinking beer from a hidden pouch and straw mechanism. They'll be completely bewildered trying to figure out if this a sincere gift or just another one of your gags. The box looks so authentic they'll never figure out that you've tricked them. Inside the fake box, you can hide a wrapped real present. The Beer Beard Prank Gift Box is an empty box and does not come with a product inside. Dimensions: 11.25" x 9" x 3.25"
Note: Purchase is for an empty box only. 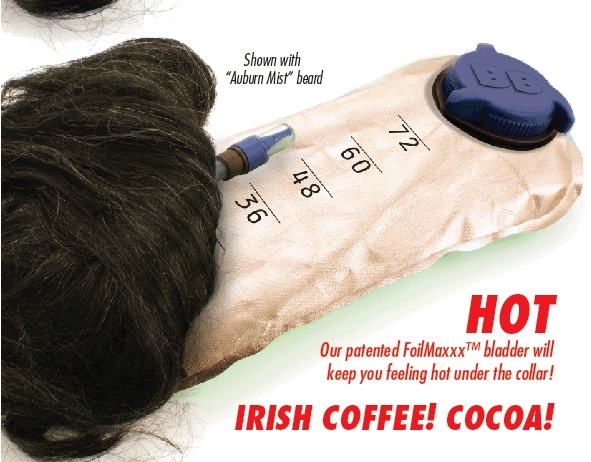 The absurd product on the box is not included with purchase. Try all of our fun Prank Gift Boxes. My brother has the WORST taste in gift choices, so I thought it was time to get back at him for years of obnoxious presents. 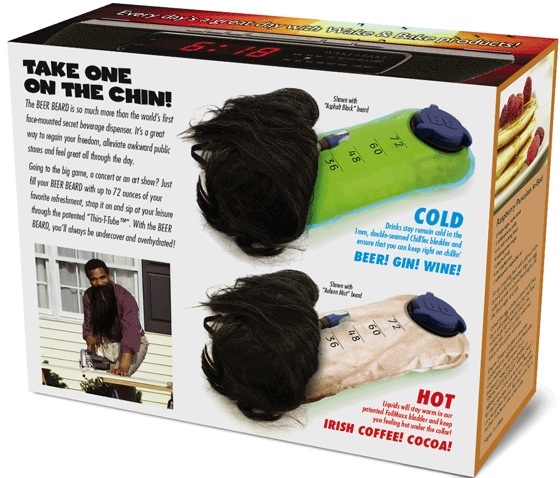 The Beer Beard box was hilarious! For once he gave ME the weird. Our whole family got a great laugh!